Otvety na voprosy zhurnalistov. Po itogam rabochego vizita v Kitayskuyu Narodnuyu Respubliku Vladimir Putin otvetil na voprosy zhurnalistov [Answers to Journalists’ Questions. Following the Working Visit to the People’s Republic of China, Vladimir Putin Answered Journalists’ Questions]. Kremlin.ru, 2017, May, 15, available at: http://www.kremlin.ru/events/president/news/54499. Ageev A.I., Gromov A.I. Kontseptsiya energetizma i ee primenenie v zadachakh ekonomicheskogo i energeticheskogo strategirovaniya [The Concept of Energetism and Its Application in the Tasks of Economic and Energy Strategy Building]. 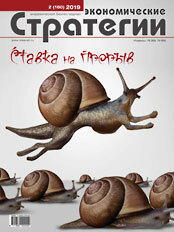 Energeticheskaya politika, 2014, no 5, pp. 12–20. Abramov V.L., Loginov E.L., Shkuta A.A. i dr. Realizatsiya ekonomicheskikh interesov Rossii pri vzaimodeystvii so stranami Azii i Blizhnego Vostoka v usloviyakh novykh vyzovov i vozmozhnostey sotrudnichestva [Realizing Russia’s Economic Interests Interacting With the Countries of Asia and the Middle East in the Face of New Challenges and Opportunities for Cooperation]. Moscow, Finansovyy universitet pri Pravitel’stve Rossiyskoy Federatsii, 2018, 327 p.
PETROLEUM & OTHER LIQUIDS. U.S. Energy Information Administration, available at: https://www.eia.gov/dnav/pet/PET_PRI_SPT_S1_D.htm. Evolyutsiya mirovykh energeticheskikh rynkov i ee posledstviya dlya Rossii [Evolution of the World Energy Markets and Its Consequences for Russia]. Pod redaktsiey A.A. Makarova, L.M. Grigor’eva, T.A. Mitrovoy. Moscow, INEI RAN — ATs pri Pravitel’stve RF, 2015, 400 p.
Tsvetkov V.A., Zoidov K.Kh., Medkov A.A. Formirovanie novoy evolyutsionnoy modeli transportno-kommunikatsionnogo vzaimodeystviya Rossii i Kitaya [Forming a New Evolutionary Model of Transport-Communication Interaction Between Russia and China]. Moscow, TsEMI RAN, 2013, 231 p.
Tsvetkov V.A., Bortalevich S.I., Loginov E.L. Strategicheskie podkhody k razvitiyu energeticheskoy infrastruktury Rossii v usloviyakh integratsii natsional’nykh energosistem i energorynkov [Strategic Approaches to Development of Russia’s Energy Infrastructure in the Context of Integrating National Energy Systems and Energy Markets]. Moscow, IPR RAN, 2014. 511 p.
Loginov E.L., Shkuta A.A. Proekt sozdaniya Aziatskogo energokol’tsa — formirovanie energeticheskoy metasistemy v Vostochnoy Azii putem ob”edineniya energosistem Rossii, Kitaya, Yuzhnoy Korei i Yaponii [The Project of Creating the Asian Energy Ring — Forming the Energy Metasystem in East Asia Through Combining the Power Systems of Russia, China, South Korea and Japan]. Natsional’nye interesy: prioritety i bezopasnost’, 2017, no 7 (352), pp. 1353–1362. Abramov V.L., Berlin S.I., Loginov E.L., Shkuta A.A., Sorokin D.D. Ekonomicheskie interesy Rossii v realizatsii perspektivnykh energoinfrastrukturnykh proektov v Vostochnoy Azii [Russia’s Economic Interests in the Implementation of Promising Energy-Infrastructure Projects in East Asia]. Finansy: teoriya i praktika, 2017, no 5, pp. 82–89. Komrakov A. Aziatskoe energokol’tso poshlo na 18-y krug [Asian Energy Ring has Taken the 18th Round]. 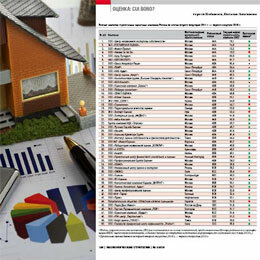 Nezavisimaya gazeta, available at: http://www.ng.ru/economics/2016-09-05/4_energy.html. Business Guide “Elektroenergetika 4.0” [Business Guide “Electric Power Industry 4.0”]. Prilozhenie, 2016, October ,17, no 33, p. 3. Abdul Asrar Rukhulla Gulam Nabi. Razvitie sotrudnichestva mezhdu Rossiey i stranami Yuzhnoy i Zapadnoy Azii [Cooperation Development Between Russia and Countries of Southern and Western Asia]. Vypusknaya kvalifikatsionnaya rabota, pod nauch. ruk. d.e.n. E.L. Loginova. Moscow, Finuniversitet, 2018. Martsinkevich B. Energeticheskiy fundament Rossii [Energy Foundation of Russia]. IA Regnum, available at: https://regnum.ru/news/economy/2269539.html. Bol’shaya sovetskaya entsiklopediya [Great Soviet Encyclopedia]. BSE, available at: http://bse.info-spravka.ru/bse/id_1214. Ageev A.I., Loginov E.L. Aziatskoe energokol’tso — formirovanie na osnove edinoy energosistemy Rossii ob”edinennogo energoinfrastrukturnogo karkasa dlya klastera klyuchevykh stran Vostochnoy Azii [Asian Energy Ring is the Formation of a Unified Energy Infrastructure Framework for a Cluster of Key East Asian Countries on the Basis of the Unified Energy System of Russia]. Ekonomicheskie strategii, 2017, no 5 (147), pp. 50–63. Ageev A.I., Ovchinnikov V.V. Sistemnye konstruktsii global’nogo rynka nefti i nefteproduktov [System Designs of the Global Oil and Oil Products Market]. Ekonomicheskie strategii, 2016, no 4 (138), pp. 122–133. Ageev A.I., Baitov A.V., Bortalevich S.I., Loginov E.L. Mezhdunarodnye energokhaby: novaya strategicheskaya model’ integratsii rossiyskikh energokompaniy v mirovuyu ekonomiku [International Energy Hubs: New Strategic Model of Integrating Russian Energy Companies in the Global Economy]. Ekonomicheskie strategii, 2017, no 4 (146), pp. 70–89. Bushuev V.V., Kamenev A.S., Kobets B.B. Energetika kak “sistema system” [Power Engineering as a “System of Systems”]. Moscow, INP RAN, 2013, 31 p.
Voropay N.I., Stennikov V.A. Integrirovannye energeticheskie sistemy — budushchee energetiki [Integrated Energy Systems — the Future of Power Engineering]. Moscow, INP RAN, 2016, 51 p.
Kobets B.B., Volkova I.O. Innovatsionnoe razvitie elektroenergetiki na baze kontseptsii Smart Grid [Innovative Development of Electric Power Industry Based on the Concept of Smart Grid]. Moscow, IATs Energiya, 2010, 208 p.
Krylov V.V., Krylov S.V. Bol’shie dannye i ikh prilozheniya v elektroenergetike [Big Data and Its Applications in the Power Industry]. Moscow, Nobel’ Press, 2014, 168 p.
Grabchak E.P. Organizatsionno-ekonomicheskiy mekhanizm upravleniya tekhniko-ekonomicheskoy effektivnost’yu edinoy energeticheskoy sistemy Rossii [Organizational-Economic Mechanism of Managing Technical and Economic Efficiency of the Unified Energy System of Russia]. |Dis. … kand. ekon. nauk, 2018, 150 p.